Snapchat didn’t have a really good period lately, with stocks drowning, so it was about time they came up with new features that can get them back on track. A few hours ago they announced they introduced “Context Cards”, a new way of finding out more about what you, as a user, see in a snap. In order to use the context cards to discover more information about something that you find in a snap, you just have to swipe up and the Context Card will appear. But what kind of information do the Context Cards contain? 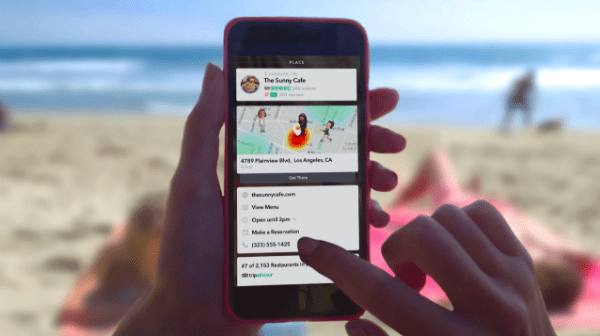 In order to introduce this new feature, Snapchat has chosen several partners like TripAdvisor, Foursquare, Michelin, Uber, and Lyft. So whether you want to read more info on a restaurant or other users’ reviews, or you want to call for an Uber, the new Snapchat feature will allow all these. 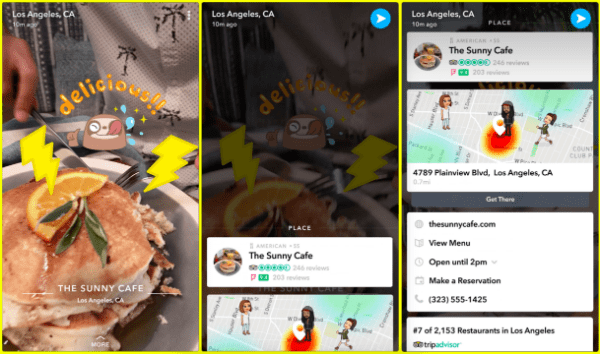 Stories are also part of the Context Cards, so if you want to have a more detailed view of a place, it is easier to find them now and see more snaps that users posted from that specific place. When you post a snap to “Our Story”, it will also appear on the Context Card of the location you are currently in. You know what the “Our Story” feature is, right? If not, I’ll tell you: it is a community narrative from a specific location, where you can find snaps or events from the location. The story will also appear when you search for a place or look for it on the map. Find the specific snap you would like to report. Tap the flag button you find in the bottom-left corner. Let Snapchat what’s wrong with the information. If you think there is something wrong with a sponsored Context Card, you should reach directly to the ones that have created the content. On the other hand, if you see something inaccurate on a regular context card, do not worry very much about it, as Snapchat is doing it’s best to update the information regularly. What do you think about this new update from Snapchat? Will you, as a business use sponsored Context Cards? Will you, as a user, update Context Cards of the locations you are visiting?